Features & Specifications :Compact, rugged and easy to use, Just aim and push the button, it rea.. Features & Specifications :Digital-Infrared-Thermometer IRL866*High D.S. Ratio : 50:1*MAX/ MIN/ ..
3-5/6 digits 6,000 counts TRMS Digital insulation Multimeter With VFD Function ..
24 functions, 79 ranges. Special features: VFD V and Hz readings; paper-white, Display : backlit LCD.. Features & Specifications :Digital 1 KV Insulation Resistance Tester&nb.. Features & Specifications :Digital Insulation Resistance Tester KM370/KM379Range- 500, 1000, 250.. Features & Specifications :Digital Insulation Resistance Tester KM370/KM379Range- 250, 500, 1000.. 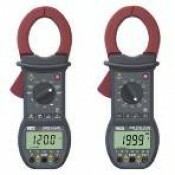 Features & Specifications :Digital Insulation Resistance Tester & Earth Resistance Testers M.. Variable High Voltage 500V-10kV DC.Voltage Steps of 500V.Shows Polarization Index (auto) & Diele.. 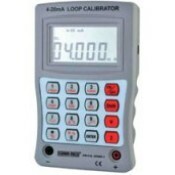 Features & Specifications : 3½ Digit 1999 Counts Large Display Digital LCR Meter Model Km 954Mk-.. Features & Specification :Range- 20, 200, 2000, 20000, 200000 LUX .Spectral response close to CI..